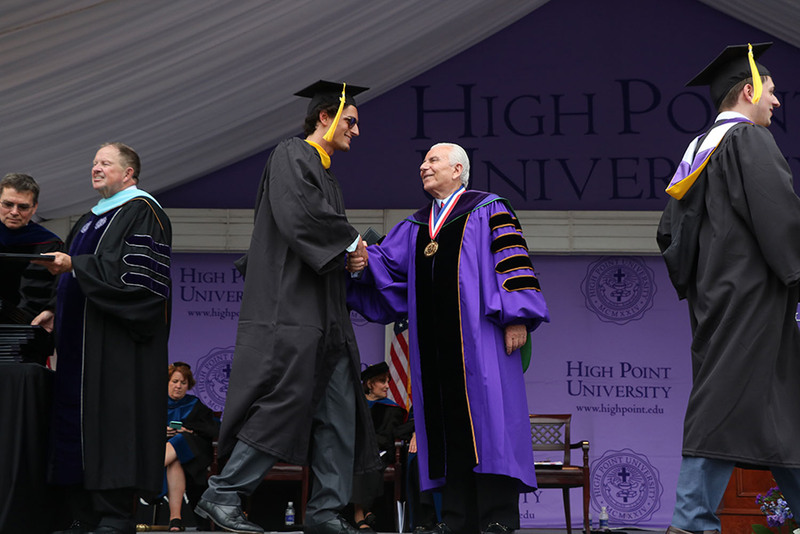 Dr. Nido Qubein, HPU president, led the annual Commencement Ceremony. 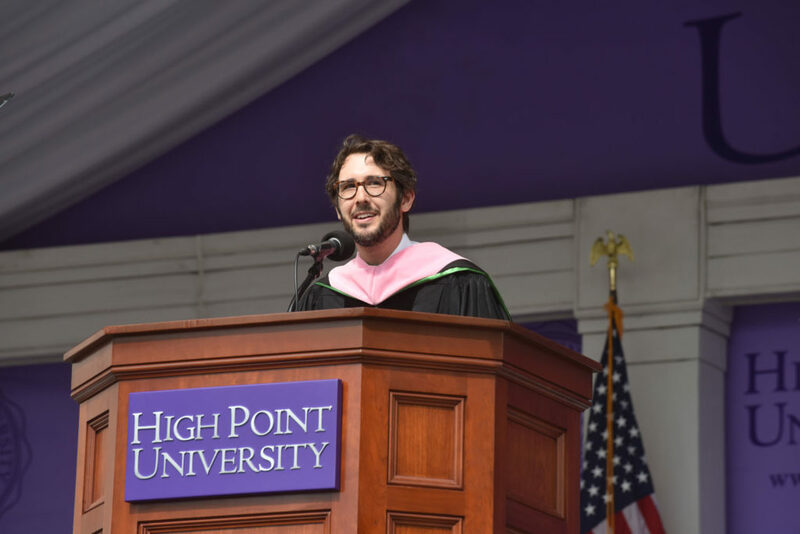 HIGH POINT, N.C., May 8, 2018 – Before he became the internationally acclaimed singer, songwriter and actor that he is today, Josh Groban was afraid to sing in front of anyone, including his own parents. 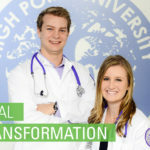 Today, he told more than 1,000 graduates, High Point University’s largest graduating class, and 10,000 guests in attendance that his fear propelled him to places of success. 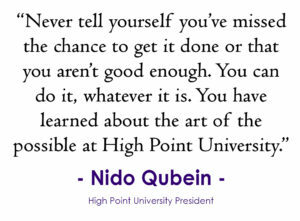 He charged the students to never back away from challenges and to always trust their instincts. 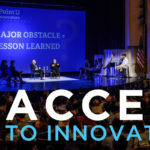 Groban, who was forced to the front of his chorus class at the age of 13, singing only on assignment, told the audience that fear is a great thing. 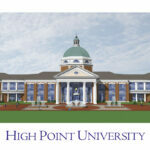 Having uncovered his passion for singing, Groban enrolled at Carnegie Mellon University and formed a plan. 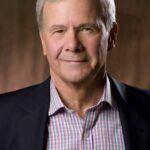 He was going to be a theater graduate and slowly work his way to Broadway before another opportunity arose – a record deal. 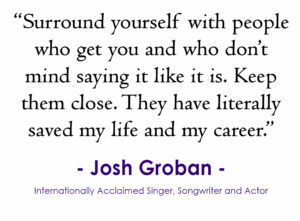 Groban shared the story of his first major performance opportunity. He was 16 years old, trying to become a professional singer, and he received a call from music producer David Foster. Foster asked if he would be able to fill in for a Grammy Award rehearsal and perform a duet with Celine Dion. 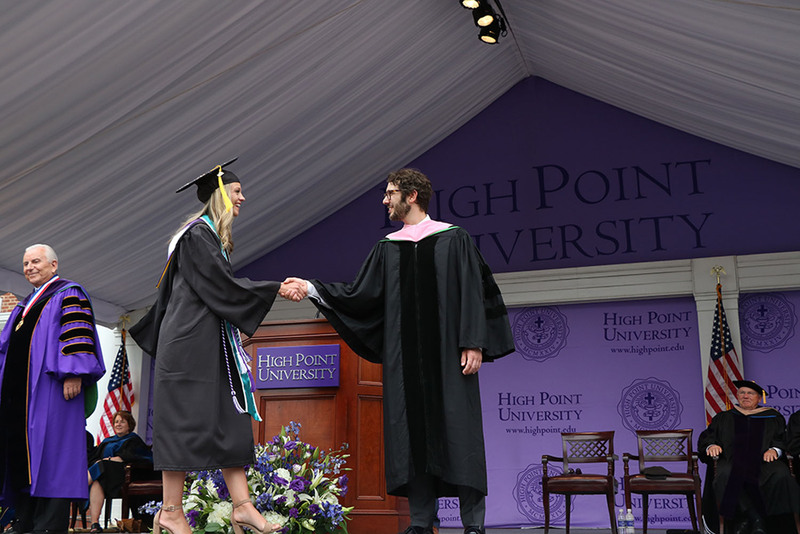 Groban, feeling unprepared, declined the offer. But the producer called Groban back and demanded that he come perform. 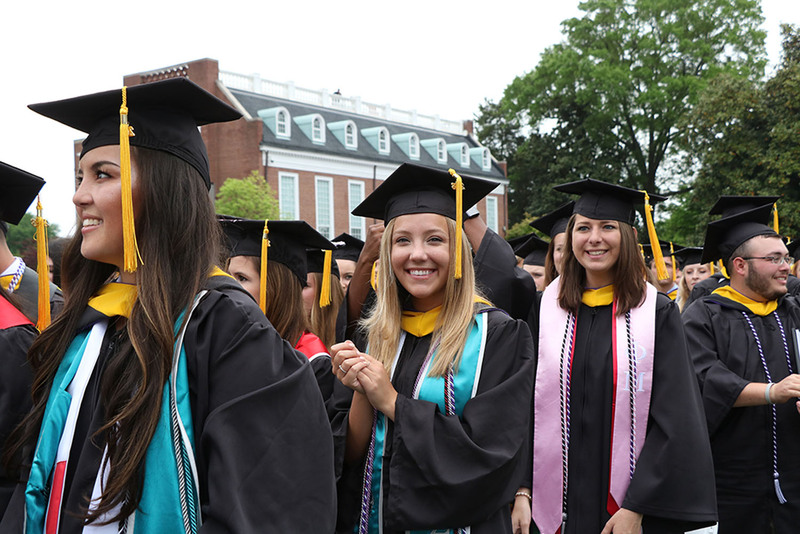 Groban also encouraged graduates to get past their nerves and forge ahead. 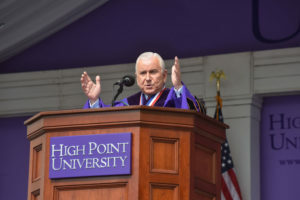 The singer concluded his speech with a serenade to the class of 2018, singing a piece from the musical “Sunday in the Park with George,” written by one of his favorite composers, Stephen Sondheim. 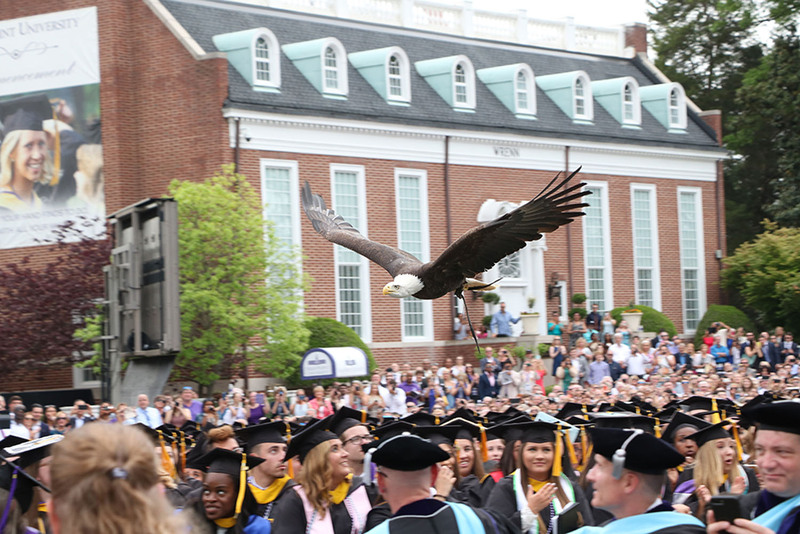 As is tradition at HPU’s graduation, a bald eagle soared over the graduates at the end of the ceremony to symbolize the ideals of free enterprise, independence and the ability to pursue new opportunities in America. 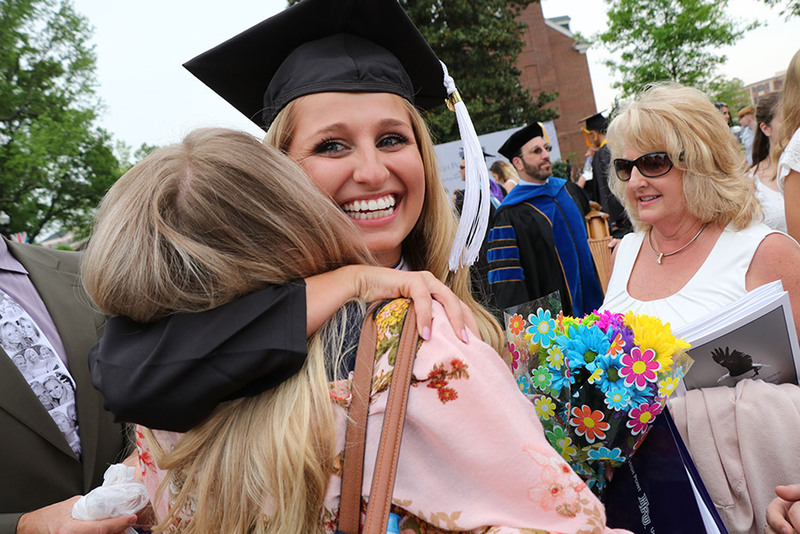 Graduates also received a powerful Senior Send-Off on May 4 from HPU President Nido Qubein, who encouraged them to live lives of both success and significance.